The achievements of Nelson and his co-recipients—Roger Angel of the University of Arizona, Tucson, and Ray Wilson, formerly of Imperial College London and the European Southern Observatory—have made possible the building of telescopes that can peer deeper into space and further back in cosmic time. “Keck Observatory is the incarnation and validation of Jerry Nelson’s concept of the segmented mirror. He was the Project Scientist for the development of Keck Observatory, and his work has established today’s incredible era of astronomy discovery. This is a well-deserved award,” said W. M. Keck Observatory Director Taft Armandroff. 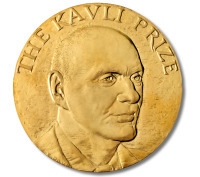 Nelson, Angel and Wilson are among eight scientists whose discoveries in the fields of astrophysics, nanoscience, and neuroscience have been recognized with the award of the 2010 Kavli Prizes, announced today by the Norwegian Academy of Science and Letters. The laureates will each receive a scroll, a gold medal, and a share of the $1 million prize for each of the three fields. Nelson is internationally renowned as a developer of innovative designs for advanced telescopes. He conceived of the revolutionary segmented design of the W. M. Keck Observatory’s 10-meter primary mirrors. As founding director of the Center for Adaptive Optics, a National Science Foundation science and technology center headquartered at UC Santa Cruz, Nelson helped pioneer the use of adaptive optics for astronomy, enabling scientists to get sharp images from ground-based telescopes. Adaptive optics corrects the blurring of telescope images caused by turbulence in the atmosphere. Keck Observatory was the first large ground-based telescope to employ adaptive optics and later a laser guide star adaptive optics system. Nelson earned a B.S. in physics from the California Institute of Technology and a Ph.D. in physics from UC Berkeley. He is a member of the National Academy of Sciences and has received numerous awards and honors for his work, including the André Lallemand Prize of the French Academy of Sciences and the American Astronomical Society’s Dannie Heineman Prize for Astrophysics. Angel and Wilson are also pioneers in telescope design. Angel created mirrors made of cheap glass and molded them to incorporate a honeycomb pattern of holes to reduce their weight and increase their rigidity, allowing the building of larger telescopes. Wilson developed the concept of active control of optics, particularly for large monolithic mirrors; using computer-controlled actuators to make small, constant changes to telescope mirror shapes during use corrects for distortions caused by gravity, wind, and temperature. Nelson is now project scientist for the Thirty Meter Telescope , or TMT, which is currently in the design phase. The TMT will have a 30-meter primary mirror, with 492 segments, and will use similar technology developed for the precision control, segmented mirror design, and adaptive optics of the Keck Observatory. 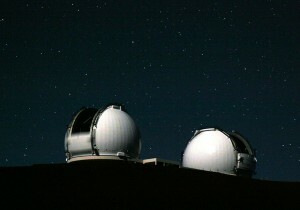 The W. M. Keck Observatory operates two 10-meter optical/infrared telescopes on the summit of Mauna Kea on the island of Hawai’i and is a scientific partnership of the California Institute of Technology, the University of California, and NASA. For more information please call 808.881.3827 or visit www.keckobservatory.org.